We use an EU-based web system (secured website with SSL-Encryption) and a US-based credit card processing company. Your orders are always protected. 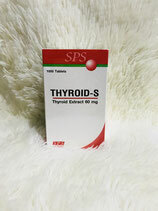 ThyroidThailand.com does not require a prescription because we maintain that the products are valued as dietary supplements and/or for research purposes. We must inform our customers that there is no intention, implied or otherwise that represents or infers that these product be used in the cure, mitigation, treatment, or prevention of any diseases. 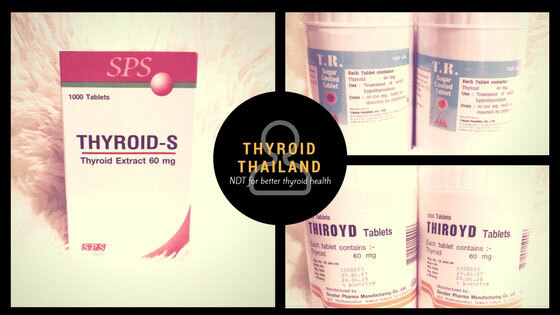 ThyroidThailand.com cannot offer information on the treatment of medical conditions or compare these products to pharmaceutical drugs. We make no health claims nor can we provide any guarantee that the products will work for the intended purpose. Your use of these products and information provided here is completely at your own risk. ThyroidThailand encourages everyone to seek professional medical opinions and testing. Indication: Hypothyroidism, thyroid deficiency agent. Dosage: 30 to 250 mg. (1 tablet = 60mg = 1 grain) daily or as directed by a physician. Thyroid-S should be taken with water on an empty stomach, preferably 30 minutes before a meal. The dose of Thyroid-S that you take should be as recommended by your doctor. The usual starting dose is 30 mg Thyroid-S, with increments of 15 mg every 2 to 3 weeks, depending on the levels of T3 and T4 measured in the blood during treatment, so blood monitoring is important while you are taking Thyroid-S. It usually takes several weeks to see normal levels of blood thyroid hormone levels after starting treatment and you may need to take Thyroid-S for the rest of your life. If you miss a dose of Thyroid-S take it as soon as you remember, unless it is time to take the next dose, then skip the missed dose. Do not take a double dose. Since Thyroid-S tablets are used to replace a thyroid hormone deficiency this is a long-term treatment and may be for the rest of your life. Keep your Thyroid-S 60mg tablets in the bottle until it is time to take one. Store in a cool dry place away from light where the temperature stays below 25°C. Thiroyd should be taken with water on an empty stomach, preferably 30 minutes before a meal. The dose of Thiroyd that you take should be as recommended by your doctor. 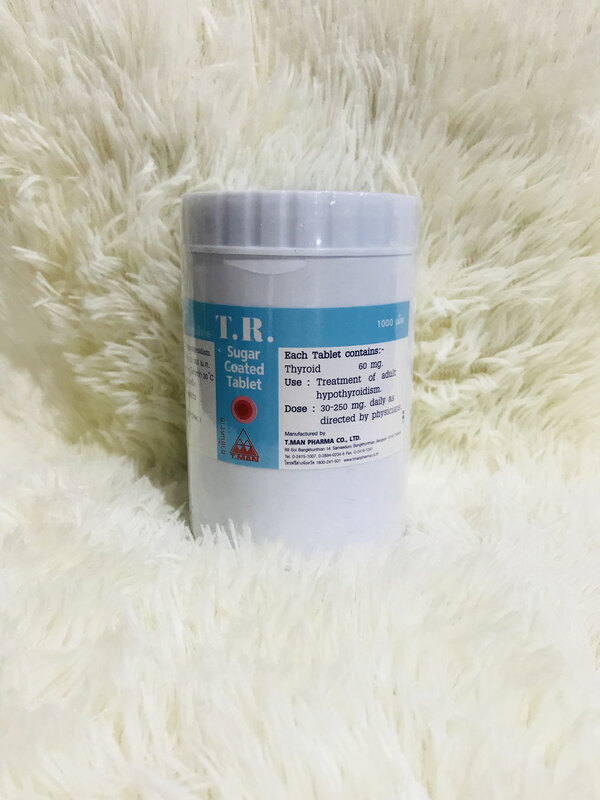 The usual starting dose is 30 mg Thiroyd, with increments of 15 mg every 2 to 3 weeks, depending on the levels of T3 and T4 measured in the blood during treatment, so blood monitoring is important while you are taking Thiroyd. It usually takes several weeks to see normal levels of blood thyroid hormone levels after starting treatment and you may need to take Thiroyd for the rest of your life. If you miss a dose of Thiroyd take it as soon as you remember, unless it is time to take the next dose, then skip the missed dose. Do not take a double dose. 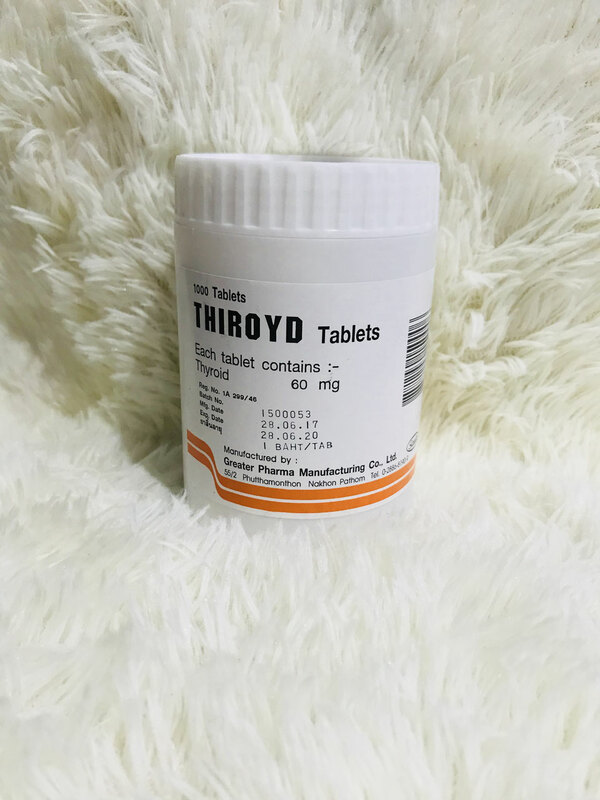 Since Thiroyd tablets are used to replace a thyroid hormone deficiency this is a long-term treatment and may be for the rest of your life. Keep your Thiroyd 60mg tablets in the bottle until it is time to take one. Store in a cool dry place away from light where the temperature stays below 25°C. All Natural Thyroid Supplement from TMAN pharma, 1000 TABS sugar-coated tablets in 1 bottle. The advantage of a sugar coated tablet vs. a film coating is that the sugar coating does not need to be digested in the stomach. The sugar coated tablet can pass directly to the small intestine where it is absorbed into the blood stream. Since digestion by the stomach is not necessary, it reduces irritation as well as acid production that can cause denaturing of the thyroglobulin proteins and detrimental effects in some individuals. TR T-Man should be taken with water on an empty stomach, preferably 30 minutes before a meal. The dose of Thyroid that you take should be as recommended by your doctor. The usual starting dose is 30 mg Thyroid, with increments of 15 mg every 2 to 3 weeks, depending on the levels of T3 and T4 measured in the blood during treatment, so blood monitoring is important while you are taking T.R. by T.Man. It usually takes several weeks to see normal levels of blood thyroid hormone levels after starting treatment and you may need to take Thyroid for the rest of your life. If you miss a dose of Thyroid take it as soon as you remember, unless it is time to take the next dose, then skip the missed dose. Do not take a double dose. Since Thyroid tablets are used to replace a thyroid hormone deficiency this is a long-term treatment and may be for the rest of your life. Keep your Thyroid 60mg tablets in the bottle until it is time to take one. Store in a cool dry place away from light where the temperature stays below 25°C. Composition: A bottle of T3 Cytomel 100mg La Pharma consists of 100 yellow tablets. Each tablet contains 100 mcg. 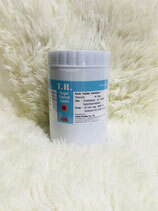 Liothyronine Sodium USP, Ph.Eur, grade. The active ingredient is thyroid hormone Liothyronine (T3) naturally as synthesized in our body. T3 Cytomel 100 mcg. is a rapid effective drug because of its 95% absorption rate into the blood stream within 4 hours of oral administration.